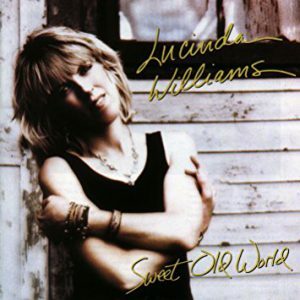 Released four long years after she found her groove with Lucinda Williams, the follow-up Sweet Old World established once and for all that — like, say, Bruce Springsteen — Lucinda Williams was going to release albums when she was damn well ready, not a moment sooner. So in the 21 years before the turn of the century, she released five studio albums, though in the 17 years since, she’s released seven, which is opposite of the normal pattern, and probably spurred by her sense of mortality. Or something.